Former Vice President Phelekezela Mphoko and his son Siqokoqela Mphoko have no financial or operation say in the business of Nanavac Investments which owns 51% of Choppies brand in Zimbabwe , the CEO Ramachandran Ottapathu has said. In a letter addressed to all employees of Nanavac, Ottapathu said, "We strongly advise all employees to stop dealing with the above mentioned persons with immediate effect." Ottapathu threatened disciplinary hearing on any person who will have dealings with the Mphokos. "Any action taken as a result of the instructions from the above mentioned persons will be contrary to company rules and proccedures and disciplinary action will be taken against the responsible employee(s)." 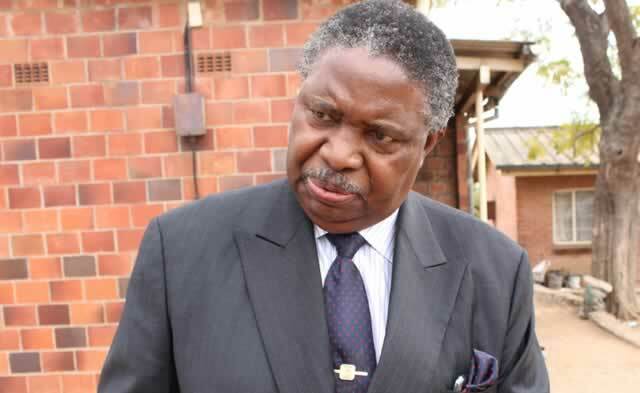 Bulawayo based secessionist group Mthwakazi Liberation Party (MRP) has sprung in defense of Mphoko and condemned what they called The Indian capture of Matabeleland. "Mthwakazi Republic Party, might not have seen eye to eye with former vice President Phelekezela Mpoko, but we can not sit and watch this new political onslaught on the businesses of the people of Matabeleland through Raji Modi, the leader of an Indian cartel attached to Mnangagwa." MRP said in a statement. "It has been revealed to us that the whole Choppies fiasco of the shareholding of the Mphoko family and the Indians, is a creation of Emmerson Mnangagwa, through Raji Modi and Mangaliso Ndlovu, who heads the ministry of Trade and industry. "Where on earth has it happened that the change of a president of a country, changes the shareholding of individuals in private businesses? We warn Modi and Mangaliso to recuse themselves from being used as agents of this economic Gukurahundi." MRP said they will be engaging the government of Botswana to investigate the Indians. "The MRP Foreign Affairs Department will soon be engaging with the Botswana government, political parties Civic society and business organizations, in scrutinizing the dealings of these Indians who are said to be the citizens in that country. Their business shenanigans smells of the Guptas modus operandi in South Africa." Nanavac is, according to a shareholders' agreement a 51% shareholder in 32 outlets across Zimbabwe. This arrangement is in line with Zimbabwe's indigenisation law. The shareholders agreement was apparently signed on July 24 2013 and thereafter, Zimbabwe's ministry of youth development, indigenisation and empowerment gave the 51%:49% shareholding arrangement its stamp of approval. However, Choppies Enterprises, which has Botswana's former president Festus Mogae as its chairperson, claims Nanavac's interest in the business is a mere 7%. Choppies' claims about the shareholding split has sparked a fracas since June 1, when Mogae wrote a letter to the Mphokos, claiming they were given the 7% shareholding free of charge.